Stored product pests put food items at risk. They can contaminate food by leaving body parts and cast skins inside. For food processors, restaurant managers or store owners, an infestation of stored product pests can mean recall, consumer complaints, audit failure, brand damage and loss of product. No matter the size or severity of an infestation, a pest problem is not a situation to be taken lightly. Stored product pests, also referred to as pantry pests, are insects that tend to gather around food often stored in pantries and cabinets—these foods might include flour, dry cereals, spices, candies and chocolate. Stored product or pantry pests include several beetles, moths and a mite that can infest whole grains or processed foods. The most common stored product pests are the red and confused flour beetle, sawtoothed and merchant grain beetle, and Indian meal moth. Stored product pests, also referred to as pantry pests, are found in almost every home. Many are transported into the home from a store or warehouse. Stored product pests tend to gather around food often stored in pantries and cabinets—these foods might include flour, dry cereals, spices, candies and chocolate. Stored product pests include several beetles, moths and a mite that can infest whole grains or processed foods. 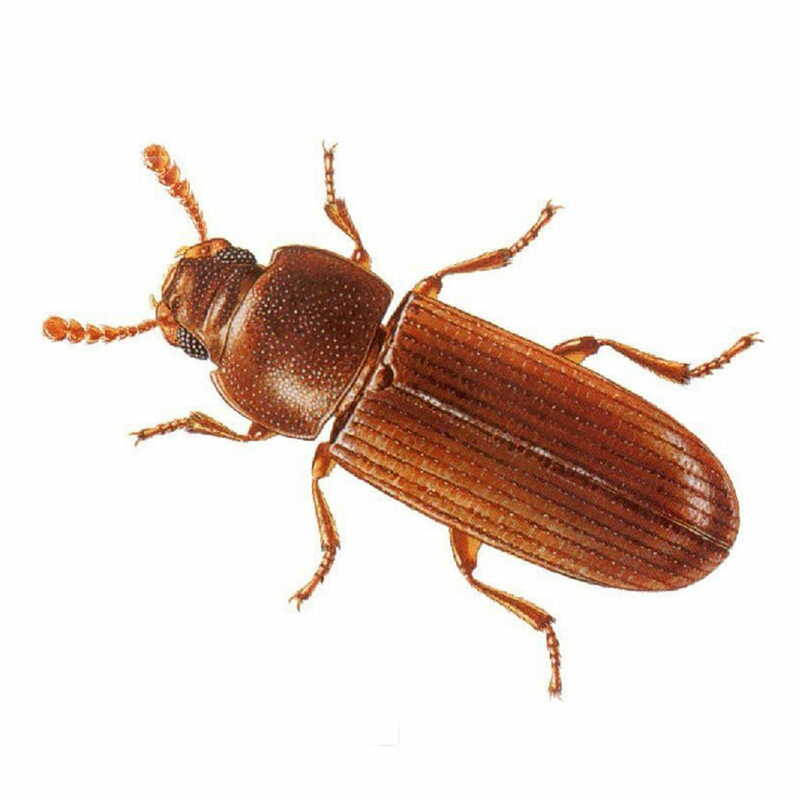 The Sawtoothed Grained Beetle can penetrate cracks and crevices to get into packaged food. The Indian Meal Moth feeds on dried fruits, nuts, chocolate, powdered milk, bird seed, dog food and a variety of grain products. These are just a few examples of stored product pests. Each female stored product pests can lay up to 400 eggs—confused flour beetle in her lifetime and Indian meal moths within 18 days. What are the most common stored product pests? 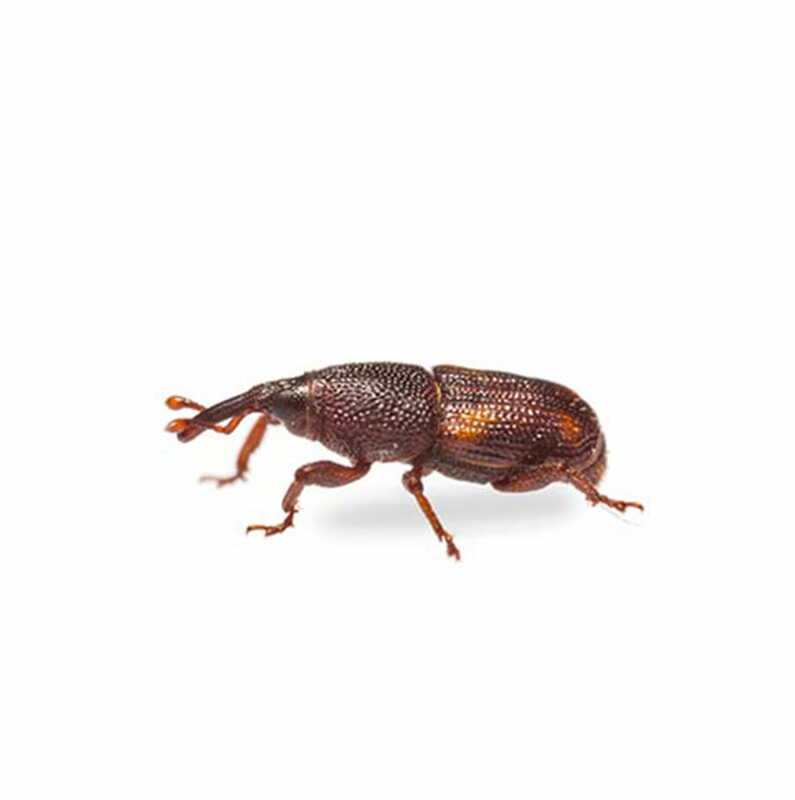 The most common stored product pests are the red and confused flour beetle, sawtoothed and merchant grain beetle, and the Indian meal moth. What do the red and confused flour beetle look like? The confused flour beetle is more common than the red flour beetle. Both beetles are reddish-brown and about 3 mm long. The confused flour beetle is often mistaken with the red flour beetle but the antennae of the confused flour beetle is gradually enlarged, whereas the red flour beetle's antenna enlarges abruptly to form a three segmented club. Where would I find the confused flour beetle? They can be found in cereal, dried fruits, spices and similar products. What are the confused flour beetle's breeding habits? A female confused flour beetle may lay as many as 300 to 400 eggs in her life time. They can live up to three years. What do the merchant and sawtoothed grain beetle look like? 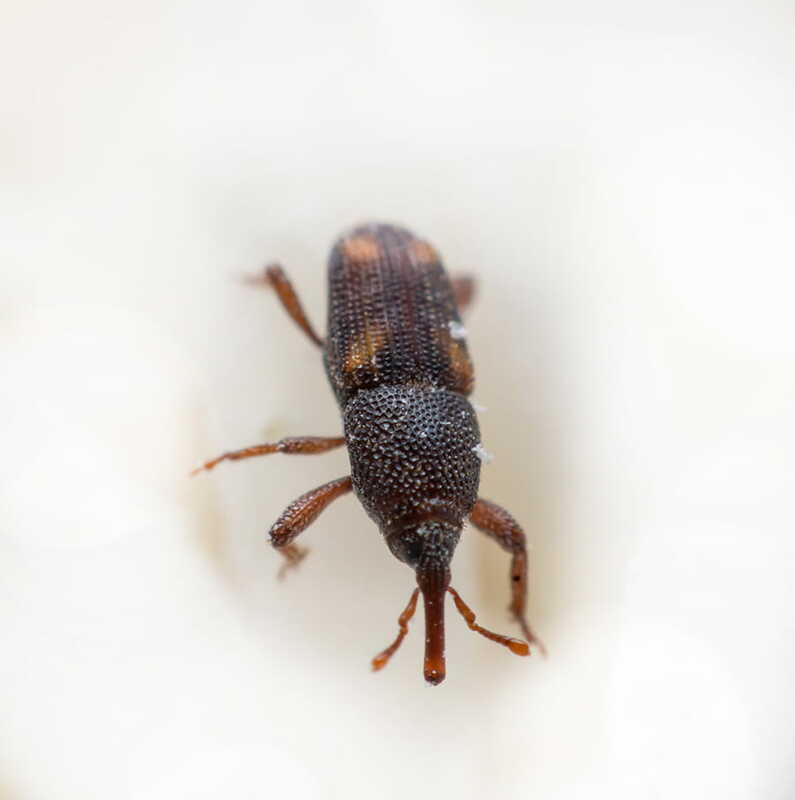 The sawtoothed grain beetle is the most common of the two. Both beetles are small and brownish, measuring about 3 mm long with six saw-like projections on each side of the thorax. The adults of both species, can be distinguished by head shape, eye and body size, and colour. Where would I find the sawtoothed grain beetle? They can be found in such foods such as breakfast cereals, flour, dried fruits, macaroni, dried meats, chocolate and other similar material. They have the ability to penetrate any cracks and crevices to get into packaged food. What does an Indian meal moth look like? Indian meal moth wings are tan and reddish brown with a copper luster with a wing span of about 1.5 cm. The larva are dirty white, sometimes with a green to pink tint. Where would I find the Indian meal moth? They can be found in foods such as grains, seeds, powdered milk, dog food, crackers, candy, nuts chocolate and dried fruit. What are the breeding habits of the Indian meal moth? Female meal moths lay eggs on the food, producing as many as 400 in 18 days. There are usually four to six generations per year depending on the food supply and temperature conditions. How can I prevent an infestation of stored product pests? Regular inspection of stored products in the home or food plant and inspection of such products prior to entry into the facility should take place. This inspection and disposal of infested product along with good housekeeping practices will limit chance of infestation.